So things tend to come in threes, and this post full of exciting professional announcements is no exception! 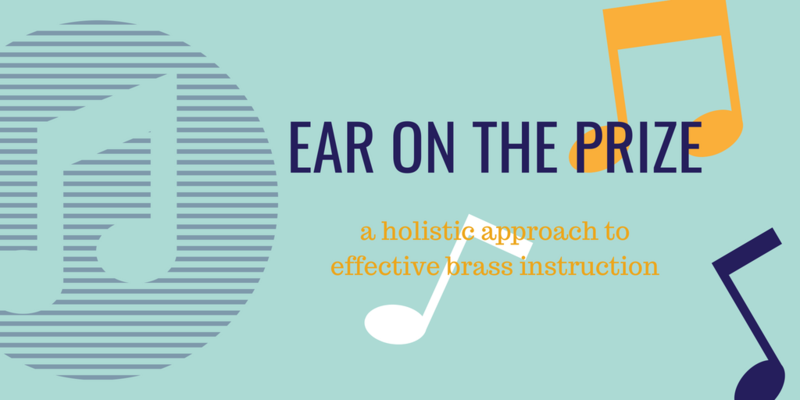 My new clinic, “Ear on the Prize: A holistic approach to effective brass instruction” is now available for booking. Check out the link in the name for more information- I’m really excited to begin offering this clinic to schools in the region! ~TWO~ Brass Lassie’s album is DONE and ready to be released! We are having a party and concert to celebrate the new album for local folks on September 7th. Details here! The album will be available to purchase in physical form or digital download on our website September 7th as well. 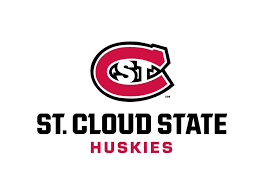 I am extremely pleased to announce that I have accepted the adjunct trombone instructor position at St Cloud State University starting this fall. I am joining a faculty of incredibly talented musicians and educators, and I cannot wait to meet the students of this fine music department. Look for some great events, concerts, and opportunities coming from this direction throughout the academic year. Recently, I recapped the excellent text of studies related to attentional focus and its affect on motor skill learning by Gabriele Wulf. To review: where we put our attention when learning a new skill is important in the development of efficient and accurate movements and will contribute to longer-lasting results and quicker progress. Even at the very beginning level of a skill, an external focus will allow our bodies’ natural learning processes to take over and solidify our abilities. In several installments, I’d like to tackle a few of those tricky concepts associated with learning the particular motor skills of brass playing, and offer some practical strategies for natural, effective learning. I’ll address common methods, fads, and accepted techniques and then offer ‘external’ focus solutions for each. Part 3: ARTICULATION and INTONATION. As a final installment, I want to talk about why teaching in this pedagogy is so important to me, and how it can help create a more inclusive, equitable society of brass musicians with healthy playing and performance habits first and foremost in our minds. There’s a prevailing attitude in music instruction, especially at the upper levels, that seems to think that because their teacher drilled them endlessly on Arban scale patterns, made them buzz into embouchure visualizers and jump up and down doing inhalation exercises, or was just plain salty about the type of work it takes to get good, that we all have to go through that. Unless we’re ‘naturally talented’ in which case we’re held up on a pedestal of unattainable glory. There’s ample evidence, however, that the school of technical execution, especially in brass learning, is a relatively new turn in a centuries-long history of pedagogical approaches. McPherson and Gabrielsson, in their book The Science and Psychology of Music Performance, attribute the publication of the Arban Comprehensive Method in 1864 as the first in a long series of texts intended to fill a marketing hole in the music publication world. It may not have been the intent of the authors involved, but it created a shift in brass education away from imitation and ear training (external) and developed a dependence on technical acquisition (internal). (McPherson and Gabrielsson, 2002; see also Karen Marston’s dissertation on Jan Kagarice with an overview of relevant brass pedagogies starting on page 52). The purpose of this epilogue is to allow me to take a few hypothetical leaps, to explain the reasons I am deeply commitment to external focus pedagogy, and to provide some hope for change in the future. There’s future research in this for me, and I hope to refine and defend some of this arguments not long from now in academic form. SO! Here we go. What if a cultural approach to learning brass that focuses on technical acquisition, a strict checklist of music skills we need to be deemed ‘professional level’ and an iron grip on training interpretive performance skills (i.e. learning pre-composed music and performing to ‘industry standard’) is leaving a cohort of potential lifelong musicians behind, or excluding them from finding success in the music industry? In other other words, what if training internally is turning off all the folks who can’t naturally approach systematic learning, who might have an improvisational or compositional voice, who might not need to read music or interpret the classics to share their musical inclinations? What if we’re leaving young people (and in particular, young women and/or people of color) behind in the field of brass instruction because they’re struggling to interpret concepts that don’t actually relate to music performance, what if they’re turned off by the ‘higher, faster, louder, stronger’ school of thinking, that asks how hard they’re working, how uncomfortable they’re making themselves? What if we’re hurting ourselves with our hyper-focus on technical instruction? What if the growing number of focal dystonia cases has something to do with teaching backwards, teaching muscle movements and breathing instead of sound concepts and air movement, making people maneuver instruments first and get music second? What if performance anxiety is a facet of practice anxiety? What if when we don’t practice performance, but instead practice skills, we don’t know if we can trust them on the stage anymore? Imagine picking up an instrument and having your teacher, someone you trust and admire, model the sound they want you to create. Imagine them steadily helping you build your skills, keeping your ear trained to the goal you want, watching as you unlock your potential for musicality. Imagine a community of musicians that holds up all performance genres and contexts as valuable, teaches any number of styles as inherently human, sophisticated creations, allows many voices to join the throng. Imagine people joyfully sharing their skills without fear. Imagine a healthy way of approaching both horn and life- curious and open, communicative, expressive, kind, and giving. Imagine all the different faces and personalities we’d see in the brass world. Imagine how much more fun that would be. In the last installment, I want to try to put all this together as MUSICALITY, which, theoretically, is the whole reason we want to play an instrument! It’s important to our souls and to our audiences that we express what we really feel using the instrument as a tool. It doesn’t matter what level we are at, we can tap into our inner musicality to help us ingrain new skills deep into our performance practice. Even with very basic phrases, music has a life of its own. It’s up to us to unlock the potential of each phrase and bring a piece together, but if we spend a little time learning to listen, we can start to interpret music on a deeper level. This is going to be one of my more controversial opinions. You don’t need fancy technical studies, you don’t need to spend chunks of your practice every day isolating specific skills. It’s great to know what you need to work on, whether it’s clearer articulation or better intonation across dynamic changes. Here’s the problem though: you’re reverse-engineering. You’re putting the cart (skill) before the horse (concept). We too often see making music as a sum of all its parts. We’ll work on how to better articulate. Then we’ll practice range. Then we’ll play some scales in patterns. Then we’ll practice long tone crescendo/decrescendos. AND THEN maybe we’ll play something lyrical and work on our phrasing. Later on, we’ll try to put it together into whatever etude or solo we’re working on and maybe feel frustrated that some of those things are ‘sticking’ or transferring over to the music. 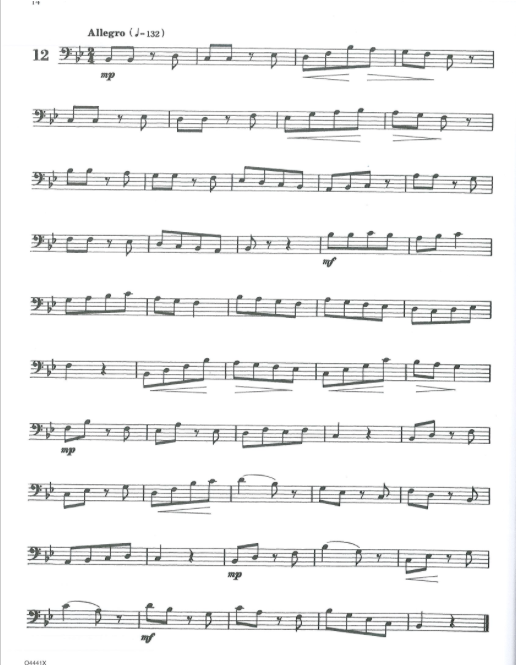 I want to use a very recent example to show how I might tackle a student’s technical problem with a musical fix. As has happened a few times before for her, she’s finding keeping 8th notes consistent to be a bit of a struggle, and it’s informing how she articulates. Even though she played most of the right notes (and did some excellent phrasing), the overall effect was a little jagged and out of time. At first, I had her try just doing some simple 8th note patterns, trying to match with the metronome and keep it even. But it wasn’t really working and she was thinking about it too hard, so it was just frustrating. Instead, I took away the music and left the metronome on, teaching her the phrase by ear and having her imitate what I was playing as closely as possible. The difference was immediate, and suddenly we had the first two lines not only rhythmically accurate, but going faster than before, with great direction! When we went back to looking at the music, the results were retained. It was a really dramatic change and it only took a few minutes. Engaging our ears and trying to recreate a goal is external focus. This is exactly how EB will continue to develop better timing and more control over how she communicates what she sees on the page. The music should be a guideline, not a script. In this way we are practicing performance, not performing practicing. Performance gets hard-wired into our motor skill network, and once that happens, it’s hard to shake! We’ll feel more comfortable on stage, better prepared and more likely to relax and enjoy the experience. One of the things I love to do is play tunes by ear, in as many keys as I have time for in any given warm-up session. I like to make sure that I know tunes that are smooth and flowing, jaunty, articulate, soft, loud, fast, slow. I like tunes that I can play in all registers and think about the sweep of the music, not the really high notes or really low notes. What that’s given me is a flexibility in all areas of technique that is tied to the music I want to create. Rather than choosing from a box (hm, I need my staccato hat on for this one), I can look at a line of music and think, that looks like it needs to be delivered crisply, with flair. I’m not worried about delivering on a technical skill, as long as I can tie it to the music. And if something gives me trouble, I figure out how to incorporate refining that by using the dictates of the piece or song. Tomorrow on my Facebook page, I’m going to do a little live demo of how I learn a phrase of music, utilizing external focus. I hope you can join me, or save to watch later! This is technically the last installment of “EotP”- but there’s going to be a little epilogue! I want to look at the ways music education that adopts internal foci has created barriers and problems for players at all levels. Stay tuned. Recently, I recapped the excellent text of studies related to attentional focus and its affect on motor skill learning by Gabriele : . To review: where we put our attention when learning a new skill is important in the development of efficient and accurate movements and will contribute to longer-lasting results and quicker progress. Even at the very beginning level of a skill, an external focus will allow our bodies’ natural learning processes to take over and solidify our abilities. In Parts 1,2, & 3 we dove into AIR, EMBOUCHURE, and ARTICULATION and INTONATION. Today, I’m looking at the VALVES/SLIDE, but more importantly, how we use CONCEPT and MEASURED PRACTICE to develop our technical skills in an externally focused manner. We’ve got our Arbans, our Clarkes, our Koppraschs, and any number of other texts, all engineered to help us develop fluid, fast technique on the horn so that we can master it. We practice scale studies and etudes and work hard on our execution. It’s definitely a necessity in obtaining a high level of performance on an instrument, so how we can we utilize external attentional focus methods to help lessen the task (and dare I say it- make it fun)? I’m going to speak primarily from a trombone player’s perspective, since that’s what I play and mostly teach, but these ideas could apply to any instrument. The main big idea I want to talk about today is CONCEPT- which has something to do with the ‘brain magic’ and ‘umbrella tasking’ I’ve discussed before. Basically, we need to be able to tell our body what the music we want to make sounds like, and so we rely on our concept to guide us. Too often, we go the other way- assess something as a technical skill, learning it as an action our body does and then trying to shoe-horn musicality in over it. We set students on the task of ‘learning their scales’ but we don’t always explain how those scales can show up in music or teach tonality instead. It’s just something we have to do to be better and it’s really boring. But I think scales and drills can be fun, if you change your concept of them. An ascending scale pattern can have direction- aim for the top! pull down to the bottom!- thirds can be like skipping stairs, arpeggios outline cool chords that can be played underneath the student as they practice, showing them how Western harmony works. If we’re clear on our concept, we’ll have a better shot of integrating the technical skill we’re trying to accomplish into our skill set. It is of utmost importance that we are helping our young musicians develop their ears. From an early age, they learn recognize sounds and intervals, and are seeped in harmonic structures and internal rhythm. As they begin learning a brass instrument, they can use those tools to conceptualize on the instrument more quickly and easily. Turn on a metronome. Encourage the student to arrive with the beat each next note, keeping that as their focus. Keep the tempo at a pace they can conceptualize and execute, and speed up slowly. Another tricky skill is executing the whole step from F in the staff to the G above it. It requires changing partials and moving the slide from 1st to 4th. Most of the time, a beginner will end up glissando-ing down to the D in 4th before being able to make the upward change. One of the biggest lessons I learned in my studies with Jan Kagarice is that CONCEPT has to meet ABILITY, not the other way around. In other words, if we cannot play something at the speed we have heard it done or want to play it at, we need to lower that concept down to where we can play it. That doesn’t seem like rocket science, but it’s an important piece of the puzzle. This includes all of the elements of a given phrase: direction (dynamics), style (articulation), and execution (mechanics). In a sense, we need to practice performing at all levels of our learning process in order to truly cement the finished project in our bank of motor skills. For beginners, clean slide/valve technique and faster passages can seem like daunting tasks. But with measured practice skills, bringing concept down to a manageable tempo can make the task more accessible. Adding external focus techniques such as “what is this phrase saying/what does this interval remind you of” will keep the learner’s attention on the execution and not on the physical skill. This is easier for some than most, but it’s critical in developing fluid, easy technique that responds to the musical goal one is trying to achieve. A metronome can be a lifesaver in this regard- it gives the learner something to aim for rather than guessing blindly at where the next note will be when their sense of steady time has yet to develop. I never move a student faster than they can play any given thing, and in fact sometimes we end up going even slower. To keep from boredom setting in, I keep the task manageable and limit the amount of time we concentrate for. Our brains, in addition to not being able to multi-task, really need time to develop focused concentration abilities. So be patient with your young students and don’t make them do one thing for too long- vary the tasks and move incrementally. In Parts 1 & 2 we dove into AIR and EMBOUCHURE, and now it’s time to approach the concepts swirling around ARTICULATION and INTONATION (both of which involve the tongue and its many machinations). WHAT DOES YOUR TONGUE DO? DOES IT MATTER? The motor skill behind each of the concepts involved in this post utilize the tongue (and by an extent, the oral cavity), so they made sense to explore in one post. 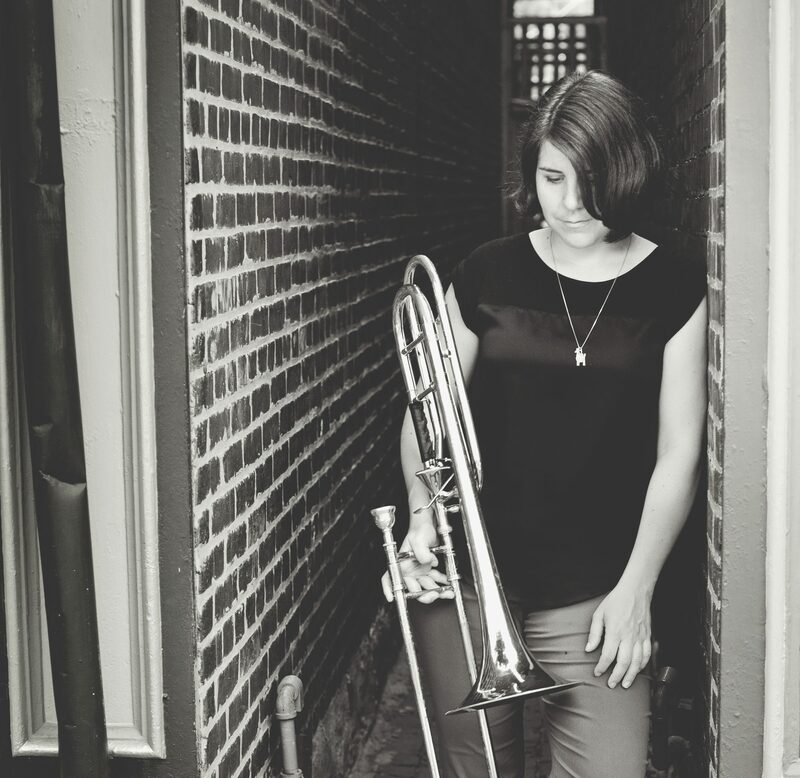 There are more opinions on what one is supposed to do with one’s tongue when articulating and tuning then there are trombonists in the world (ok, that’s hyperbole, but still), and it’s easy to get overwhelmed with advice from all sides of the equation. Just Google “how to tongue on a trombone” and you’ll get all the hot takes you could ever wish for. But as you probably already know by now, if you’ve been following along with this series, WHAT we’re trying to achieve is far more effective a learning strategy than HOW we’re doing it. Recently, Boston trombonist and bass trombone guru Douglas Yeo participated in a study that allowed him to see the inner workings of his mouth and throat while playing a modified trombone set-up while in an MRI machine. When I first saw this post, I was pretty wary. The last thing most brass instrumentalists need is more stuff to think about and more focus of attention on the symptoms of our playing process. And on top of that, while more trombonists while participate in this research, we have at the moment only one player demonstrating these exercises and extrapolating them as evidence for what is proper playing technique. I don’t want to seem like I’m denying that this is fascinating information to have, or that we can’t learn something from demonstrations like this. I think it could be very useful if we lived in a learning culture where we trusted the educational effects of external focus, and could view the results objectively while still moving forward with our attention on the music. But unfortunately we don’t, and I can see a whole generation of trombone players and teachers pointing back to this study and inflicting detailed internal focus instructions on themselves and their students. And the result will be inefficient, amusical playing. Disclaimer time: Some players and teachers deny that anything is happening with their tongue or throat when a brass instrument is played effectively. I am not one of those people; I believe all manner of things are happening! It’s pretty cool that our muscles and tendons and neurons can all work together to form beautiful sounds and music. However, I’m just going to say it: I don’t care what’s happening. It’s just a symptom, and I’m going to let it keep doing what it’s doing and not interfere. Again, the more I focus on the results I want, the more efficient my technique will be. Ok! So you get the point. Whatever we’re trying to do, we should get out of the way and not interfere with the system. So let’s get back to it. I have to do a little more exposition here. There is no reliable INTONATION without reliable TONE. Before I even introduce my students to the idea of ‘playing in tune’, I train their ears to recognize that they are resonating the whole horn and matching whatever pitch I give them. It will take time for them to develop the capacity for fine adjustments, but it will be much easier if they are producing a good sound. If they are struggling to play something in tune, I might take them back a few steps to AIR and EMBOUCHURE. The idea that the position of our tongue, the shape of our oral cavity (because of the position of the tongue), and the relaxation or tension of our throat has an effect on intonation is not unprecedented: the shape and tension of physical objects determine pitch according to acoustical science. But don’t put the cart before the horse. Form follows function. Those physical objects have been fiddled with over centuries to find the desired sound and range du jour! All because someone had a concept, and they wanted to improve upon the form of the tool they were using to execute it. Also, a note on tuners. I generally discourage overuse of tuners in my studio in favor of things like pitch drones and reference instruments with stable intonation (like an electric keyboard). I find that staring at a tuner turns the focus inward, and players start to fiddle with physical aspects rather than trying to blend or match a sound. There is one great (and really cheap) tuner on the app market, and that’s Tonal Energy. It has lots of great tools, like metronome and playback, but most importantly, it provides high quality drones in a variety of sound types (including trombone!) that allow you to really work on expanding your ear and your sound’s relative pitch. That’s a lot! But I think these are really important concepts to consider when trying to approach your instrument in the most efficient and healthy way. Stay tuned for Part 4- the topic of which is yet to be determined but will probably be something along the lines of slide technique- and a second live video soon! “Ear on the Prize”: Live Video! Earlier this morning I took to Facebook Live to talk through my concepts for healthy brass tone production and skill development. Please give it a watch and feel free to ask any questions or give feedback. I hope to refine this over time and produce some companion videos aimed at beginner and intermediate brass education.